Auf Wiedersehen, Will My Dog Hate Me | Will My Dog Hate Me? How do you say good-bye to people with whom you’ve spent more time for the last three years than any of your friends and family members (except for a small furry one)? People you’ve come to respect and care about deeply? It’s true that I won’t be blogging about pets any more. But I haven’t been fully present since I announced that I would be working on a new project last January. And being half here is neither what I want nor what you, gentle readers, deserve. The topics we’ve been having a conversation about, from rescue and training to BSL and tainted food, are too important to be given short shrift. That said, this blog has most of all been about sharing experiences with people who understand that our pets are family members and that loving animals is a key part of what makes us human, in the fullest sense of that term. And I will always be part of that community, which has given me more than I’d ever imagined was possible — support, advice, and help in real life. Not to mention permission to discuss dog poop. I was going to say a long good-bye, share some of my favorite posts, recognize individuals who have been particularly supportive, but I found it impossible to choose. And pulling the bandage off quickly is best. Besides, my last post, about Frankie, said it all. And it’s the image I want to leave you with: My muse, the always amusing Frankie, forever in his prime. 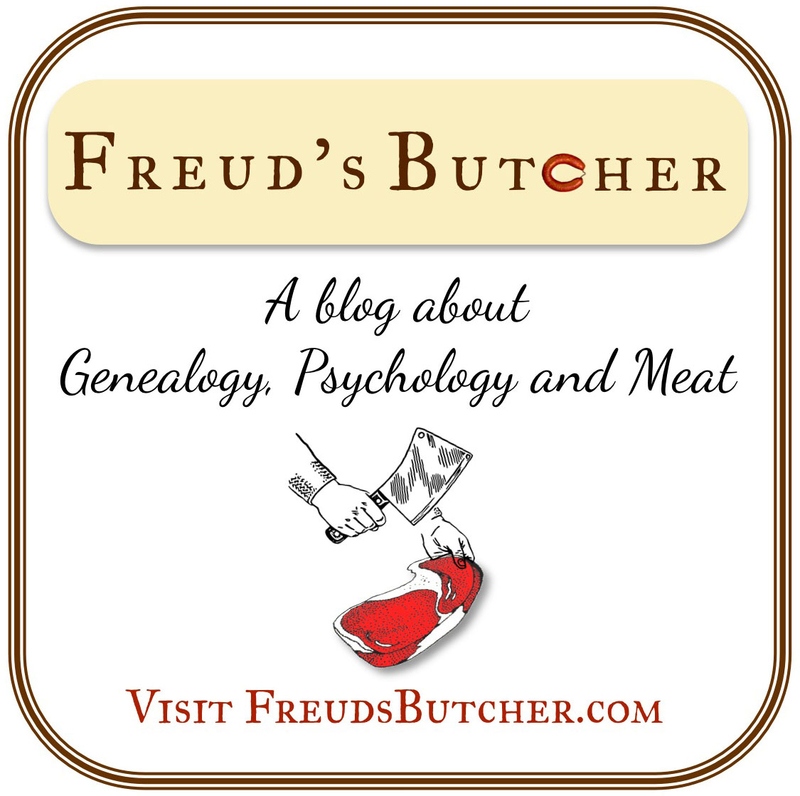 I hope you’ll come over to my new blog, Freud’s Butcher, a journey into the life of my mother’s family in Vienna (you knew there had to be a reason I was suddenly throwing around German phrases, didn’t you?). It would be great to see old friends. But even if you don’t, you’ll still be with me. You don’t cut part of your heart out when you move homes. Unless, of course, you’re relocating to Transylvania. Then all bets are off. ← Underdog to Wonderdog: Frankie! Congratulations, Edie. We’re wishing you the best of luck – and I want to say thank you for the time we’ve spent together in the pet blogosphere. You’ve brought a wonderful perspective to so many pet related conversations and made me look at things differently. Things won’t be the same without you! That being said, we know your heart’s in Vienna and I’m looking forward to seeing where this next adventure takes you. I’m off to see Freud’s Butcher! Thanks, Amy. You and Rod are two of the people I would have singled out to thank for your friendship and perspective — had I been singling people out 😉 I really appreciate your support. I wish you all the best in your new venture! You found our small tribute already, so I will not add a lot to that. And you are right, the “underdog to wonderdog” — which I keep on typing wrong as “wunderdog”, that German is catching on — said it all. No goodbyes, that sounds good to me too. Instead, we switch feeds in our reader and say hi on your new blog. Thank you — especially for the wish to find sinners among my dead relatives. What fun would it be to have only saints in my background? Right now I’m the only sinner on the site and need the company. This is so sad, seeing Will My Dog Hate Me close up shop (like the butcher’s phrase? )…A few months ago I would have thought it’d go on forever. Thank heavens the blogger will! 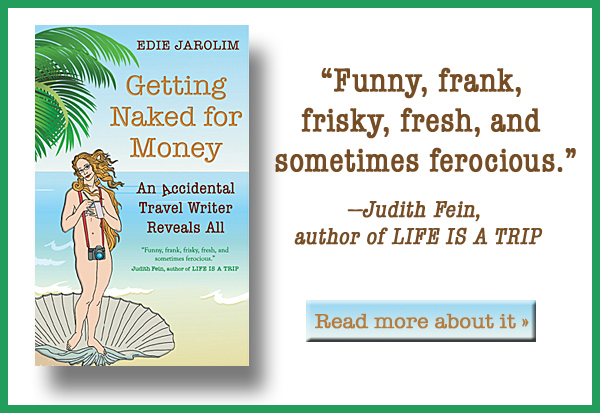 After all, that’s what we really came here to read anyway, were the words and thoughts of Edie Jarolim. Best of wishes on your new venture (can’t wait! ), big hugs to Frankie – onward! Aw, Kim, that’s so sweet. And I’m paying more attention than ever to Frankie, having departed from my guilt-free zone to the land of guilt galore — my Jewish family! So I will definitely give him big hugs for you. Lilly and I send our very best wishes on your new adventure. I’m so glad we met along the way. Aw thank you — I feel the same. And I’ll be keeping up with you guys and sending all my good thoughts to Lilly for a full recovery. Thanks. I’m waiting to hear back (today, I hope) whether (or not) acupuncture might help with her ongoing elimination issues. We’re pretty discouraged — on many fronts — but we’re hanging in there. Fingers (and paws) crossed that acupuncture is helpful. It’s a brave thing, in this blog world, to give up on something not because it is doing poorly, but simply because you need the time to do other things well. I admire you for this, and for many things, and can’t wait to see what your next writing adventure brings. That’s very kind of you to say — especially coming from a mutually admired source. Much appreciated! Congratulations on your new endeavor! I look forward to checking out Freud’s Butcher! Best wishes to you and Frankie! Thank you, Maggie, on all counts! We will miss you in the pet blogging world but I am very glad you are still going to be writing online so I don’t have to miss you completely. Thank YOU for all of your kindness. I can’t even express how much your words have meant to me. I wish you the best of luck and can’t wait to see where this new venture takes you! That is so nice of you to say. One of the great things about blogging is thinking that your words could affect someone without your even being aware of it (hopefully for better rather than for worse). My Typist was very sad when she read about you going away on Kenzo’s blog. I don’t know why seeing as how she’s been bad and not kept up with you for at least a year. She says she thought you already said goodbye at some blog or other. Sometimes, she likes to pretend she has dementia although she’s just slack. Anyway, she insisted I come to say goodbye and thank you for being so nice to me and not telling me “Bad Dog!” like she did when I first came to live here. I’d also like to say “Good Job!” with advising my humans on the car harness and barrier. Without your helpful hints, I would probably be driving today. Last but not least, I see there was/is a butcher in your family and a picture of meat in your new blog. Can I drop by for a visit sometime? And here Frankie thought you didn’t like him anymore because you never came to visit…Maybe it was a long good-bye after all. I announced that I was going to be leaving in January. I’m glad ifI could help in any way. And it was always lovely to see you here with your very distinctive personality and point of view. There are *many* butchers in the family. Dogs are very welcome. Hey Edie! I think you’ve done wonderful things for dogs and their people here at Will My Dog Hate Me? It is the guilt-free zone that allowed me and many others to write comments about things that have happened in our dog caretaking lives that we do not talk about in public. I am sure others found that cathartic also, and I thank you for that! I know I have said to you privately and also publicly in a blogpost how funny and witty you are and how I could always find something you had written to balance all the bad news of the day, whether animal or political;) I am sure I will see those same hallmarks at your new shop – and am thankful that there is a new shop to go to!! I will wish you the best of all luck, but know you won’t need it;) I bet I will find at your new blog the same kind of inspiration you offered those at Will My Dog Hate Me? Hugs to you and Frankie, and see you soon! Mary, you’re one of the people whose support helped sustain me. The approval of a “real” animal welfare expert made me think that maybe I wasn’t just winging it after all (okay, I’m still not entirely sure). I learned so much about from you, and was honored to be part of Animal Cafe. I’m glad you’ll be coming along for the next chapter. I’ll miss you on the dog blog front, but I am looking forward to your “next chapter”. Got Freud in the Google Reader already! Sure, I love dogs. But I’m a big Edie Jarolim fan. Wonderful writers draw me into reading about all kinds of things I’d never discover on my own. Mary Roach–I know we both enjoy her–is a perfect example. I’d put you in her company for drawing me into new topics. I’m very excited for you launching your next project and look forward to more wit and excellent writing on an entirely new subject. The very best to you and Frankie. You both given us much joy and a lot to think about. I am very flattered. And you are one of the people to whom I am most grateful — for, among other things, giving such a smart and careful look at the manuscript of a book I never ended up writing. And, of course, if I didn’t think you were an outstanding writer and thinker, I would never have entrusted you with the Pet Travel Book club. I have a reputation to uphold, after all. The tune from the Golden Girls keeps running through my head but I’ll say it anyway… thank you for being my friend. As always, thoughtful and dignified. I am so proud to know you Edie and forever grateful I met you. It never would have happened if not for this blog. What I admire most is your ability and willingness to move on, to expand your horizons, beyond one area. I recognize we are all multi-faceted, but you display it in your writing. I look forward to reading your new posts. I love history, so it won’t be a leap for me. Will My Dog Hate Me? will remain with us forever, long after your blog is gone, because it was an experience. We laughed together, got outraged together, learned from one another. Thank you. It was my pleasure getting to know you, too, Mel. You have the courage of your convictions and taught me a lot about grace under pressure. Your posts will still be arriving in my inbox and I will look forward, as before, to reading them. is it even possible for a dog to hate his owners? No, the blog title is tongue-in-cheek. Edie – So sad to see you go! Good luck with everything. You will be missed!